I used to be pretty strictly a Provence rosé drinker. Since moving to Australia, though I’ve come to realise there are some really fun, fresh, crisp and truly delicious rosés coming out of Australia that hold their own again the French classic. Many Aussie styles are deep pink and very sweet – many which are nothing to write home about – but there are some really fantastic ones in the bunch. I also love the cool climate approach to rosé in Australia, which tend to be paler in colour and much drier. 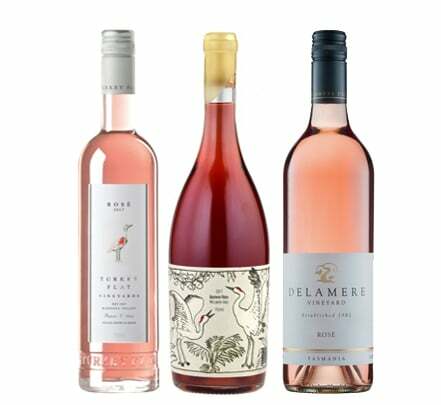 We’re spoiled for choice when it comes to Australian rosés, and many are great value. Tim Adams (Clare Valley, SA) and de Bartoli’s La Bohème (Yarra Valley, VIC) are both very drinkable. Recently though (it has been a particularly hot summer! ), the following rosés have been on rotate in my fridge. This Tassie rosé is fresh and delicate yet complex and fruity. A bit redder in colour than I usually go for in rosés, but the notes of strawberry and raspberry are quite tart, and the floral, dry wine lands well balanced on the palate. This fragrant yet crisp rosé is uniquely expressive of the maritime climate of the Pipers River region where these Pinot Noir grapes are grown. Slightly pricier compared to some everyday rosés, but this barrel-fermented wine, aged on the lees, is bright, textured and produced to keep the high acidity of the Barbera grape well-balanced. It’s got some body for a rosé, with dark fruits again, but it’s creamy and well-rounded. The result is a fun but structured wine, one that pairs well with fresh summer meals. Another one from South Australia, which is not normally my go-to for rosés. Though fruit forward, this is still a dry, crisp and clean wine. Great, again, for summer sipping with some chill, but also does well with spicy food. This particular vintageis elegant and pale for this region, grape (Grenache) and vineyard – get your hands on the 2017 before it goes! 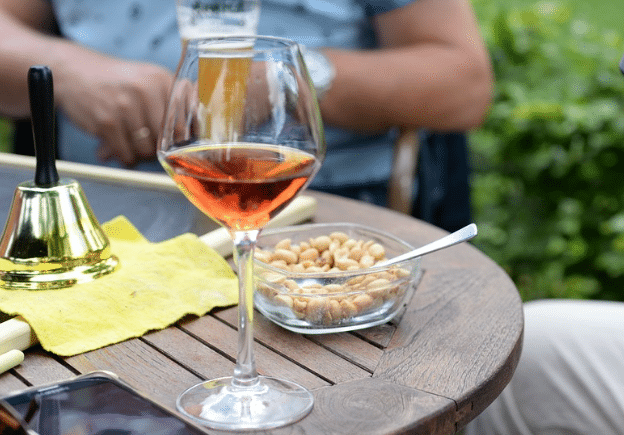 For more ideas about what to eat with rosé, check out our rosé and food pairing, or to get the scoop on what rosé even is, click here.